Orders MUST be placed by Friday 12/16 if you want them prior to Christmas. Inspired by the many stories of pit bulls who have saved lives by daring feats of bravery and providing unconditional love and emotional support, this year we scoured the globe for superheroes for our annual calendar contest. 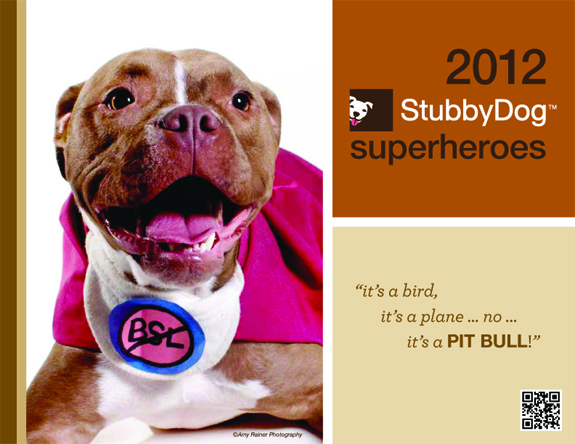 The photos in this calendar represent the winners of the StubbyDog Superhero Calendar Contest. These amazing ‘calendar’ dogs were voted on by their peers to represent the various types of superhero pit bulls we know and love – the therapy dog, the family dog, the clown, the survivor, the lover and most of all, the best friend. Thank you for caring about them. We hope this calendar will help all of us rediscover the pit bull 365 days of the year! I got my calendar a few days ago and have it on the wall over my computer so I can refer to it frequently. It is such a magnificent reminder that there is no stopping the pit bulls! 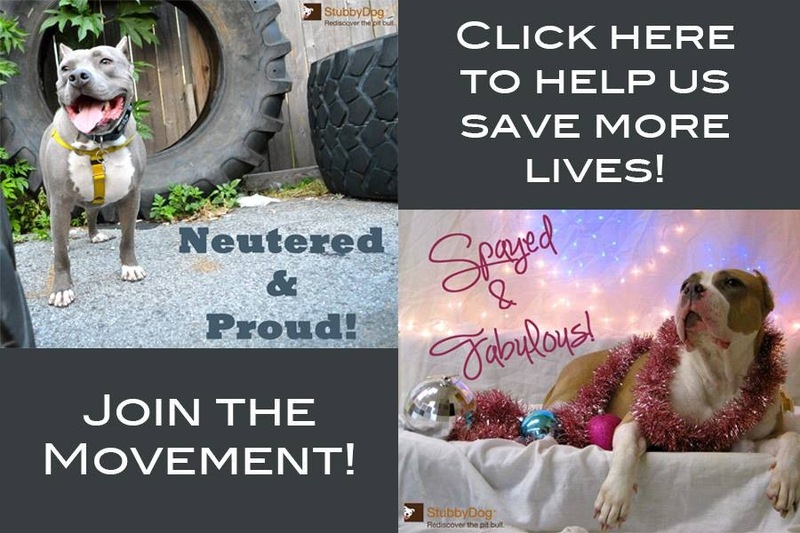 Thank you, StubbyDog, for your efforts on behalf of these fantastic dogs!